If you follow my Instagram, no doubt you’ve seen these five, six or seven … hundred times. 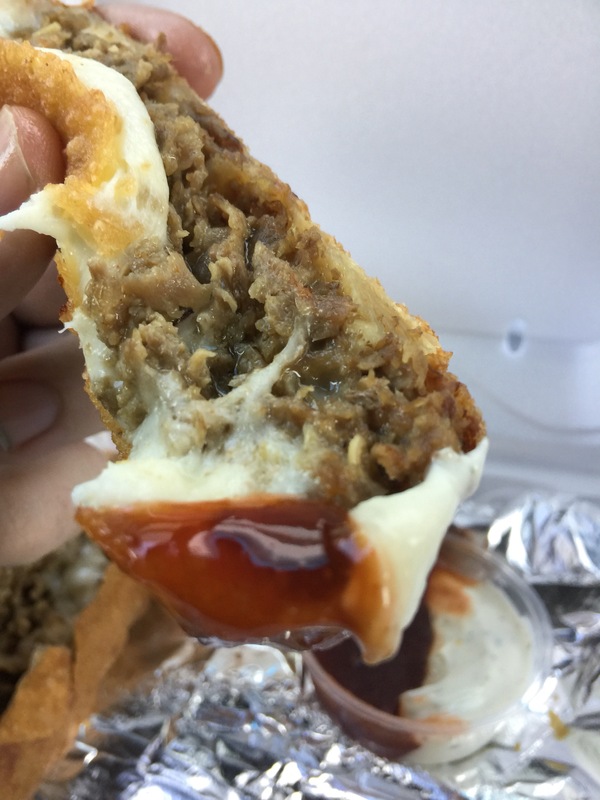 Anytime I go to South Florida, my first stop is always in Lauderdale Lakes near Fort Lauderdale for Cheesesteak Eggrolls at a little dive called “World Famous.” I’ve also seen it listed as “Chinaman” and “Eggroll Truck.” I don’t know why they have 3 different names, but he place you’re looking for is at 3684 W Oakland Park Blvd in Lauderdale Lakes. This place serves up some seriously addictive soul food. Great buffalo wings, the lemon pepper french fries… it’s all good. 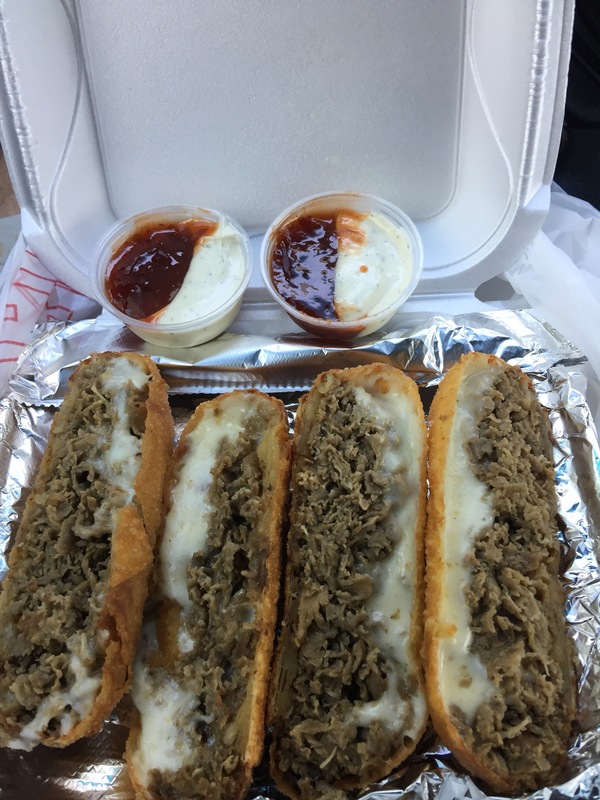 But the cheesesteak eggrolls are the must. The dipping sauce is called “Ying Yang Sauce.” It’s a 50/50 mix of ranch and some kind of sweet and sour sauce. It’s a marriage like no other. If they ever open a location in Tampa, I’m a goner.